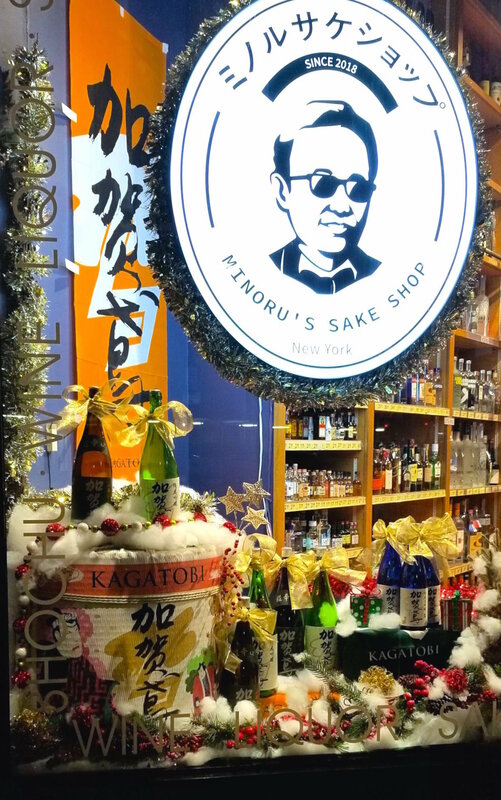 Friday, December 14 from 5:00 p.m. until 8:00 p.m.
Fukumitsuya Sake Brewery, Kanazawa’s oldest existing brewery, is holding its final tasting event of the year at Minoru’s Sake Shop inside Landmark Wine and Spirits. The brewery will introduce KAGATOBI’s Sennichi-Kakoi, a rare and special sake that’s been aged 1,000 days. Also featured will be the Gokkan Junmai in a 180ml can, which depicts the beauty of the four seasons of Kanazawa. 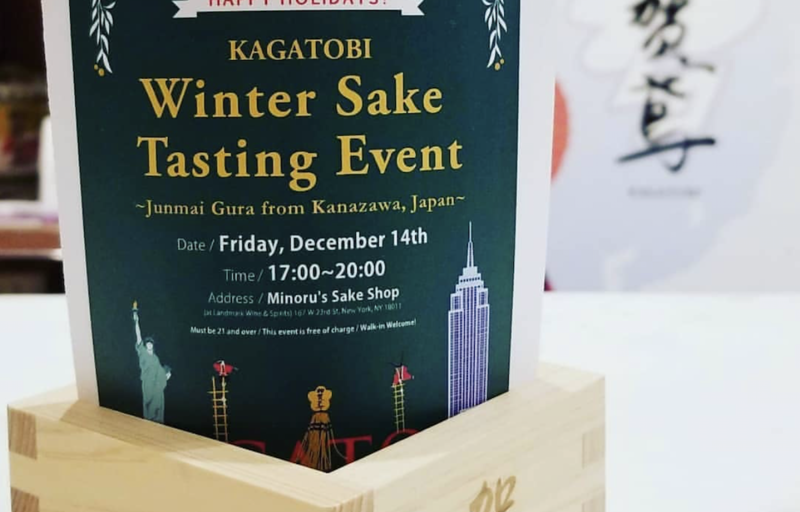 If you are looking for a special gift or something easy to bring to a holiday party, then these two KAGATOBI sake will be the unique and delightful accent for your holiday season. Feel relaxed and happy – one sip at a time. Celebrate the end of 2018 and the beginning of 2019 with KAGATOBI! For more information, follow KAGATOBI’s Instagram page.